the special olympics by the numbers. 11 days. 15,000 volunteers. 4,000 athletes & coaches. 7,409 medals & ribbons awarded. MILLIONS of smiles & hugs. 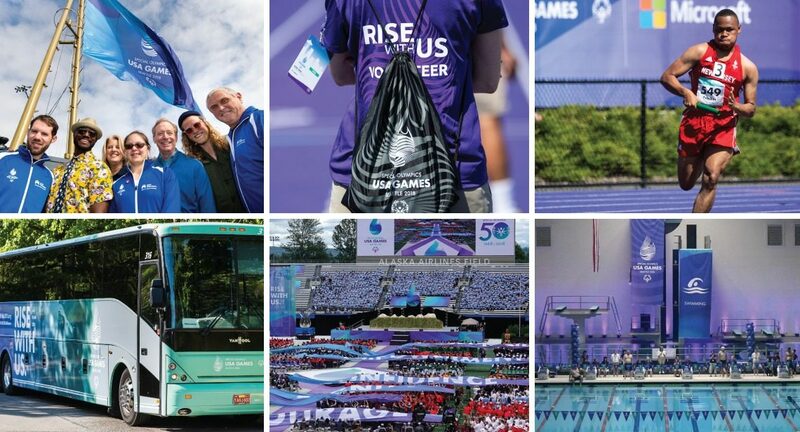 I was humbly honored to be chosen as the 2018 Special Olympics USA Games, Seattle official Graphic Designer. By the end of the games, I calculated over 1300 hours of design work and 1500 pieces created. Our goal was to ensure that Seattle was covered in purple and our signature “swirl”—and we succeeded! The toughest job of my life was the most fulfilling job I have ever done, those athletes came to win and INSPIRE. food lifeline knows how to party!